Tom is a creative and intuitive Physical Therapist who can offer successful integrated treatments utilising manual therapy and exercise therapy and treats all acute and chronic musculoskeletal conditions, sports injuries, and pain, from the spine (neck & back) to peripheral joints, including hips, knees, ankles and feet, and shoulders, elbows, wrists and hands. He can treat muscles, fascia, tendons, ligaments, joint, and bone problems, and painful conditions that are caused by weakness, stiffness, imbalances, fatigue, tension, and other functional disorders. He enjoys working with children, adults and the elderly from his time working in NHS outpatients, private practice and sports teams. He is based in his clinic, and also gives Home Visits (Boitsfort only). Treatment focused rehabilitation for pre and post orthopaedic surgery is offered for operations such as ACL reconstruction, Achilles and patella tendon repair, joint repair including partial and total joint replacements of the upper and lower limb. Tom also utilises video analysis as part of his functional assessment, and finds it particularly useful to analyse and give feedback for walking and running styles in order to improve any biomechanical issues that he may find. People that run, find this particularly useful. He is currently training for a postgraduate qualification in musculoskeletal ultrasound for diagnostic purposes, which he uses in his practice. 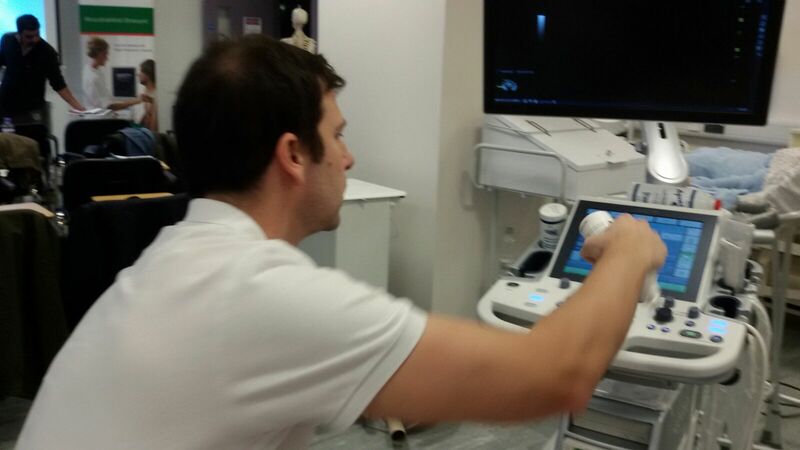 Tom on his Ultrasound course. Sports Massage, Fitness and health. As well as having a high level of skill in Musculoskeletal Physical Therapy, Tom is a highly experienced Sports Massage Therapist (level 4 trained since 2004 SPS Learn course) and offers pure sports massage sessions. Tom also offers personal training sessions to help you achieve your fitness and health goals after completing a Sport and Exercise Science Coaching degree in 2003 and the UK Strength and Conditioning Coaching award in 2009. Tom also provides workplace solutions with healthcare providers and organisations to improve staff health & wellbeing. Tom recently collaborated with the Scandinavian Dental Center to optimise ergonomic solutions for patients and team. Tom is an experienced, friendly and professional English-Speaking Physiotherapist. He qualified from Cardiff University in 2007 with First Class Honours and worked in the Cardiff University Hospitals for 6 years across a range of specialities in the general population. Tom opened his Physiotherapy clinic in Boitsfort (Brussels) in January 2013 and has been serving the Brussels community for 6 years. 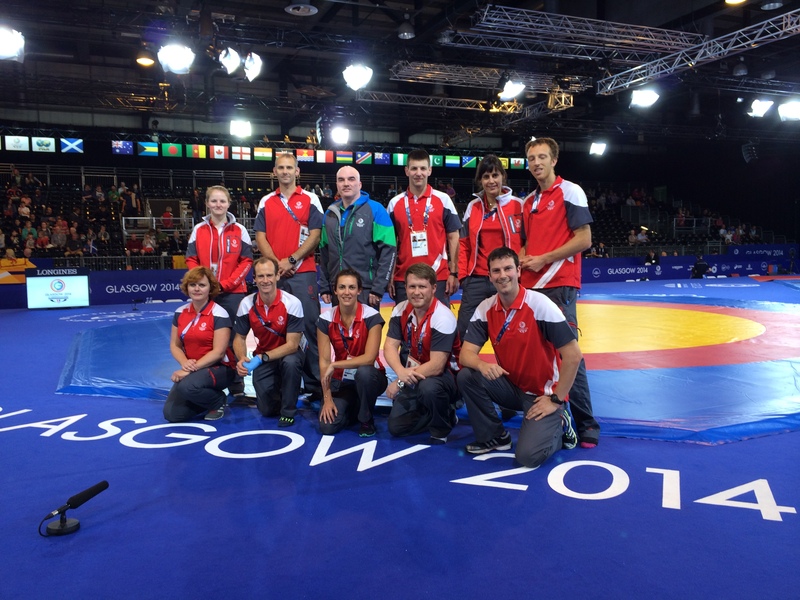 He has a special interest in Musculoskeletal and Sports Injuries and recently worked at the Glasgow 2014 Commonwealth Games and the London 2012 Olympics, treating Commonwealth and Olympic Athletes, respectively. Tom was offered a Physio position at the Rio Olympics in 2016. Previously, Tom worked as a Physio with Cardiff City Football Club between 2008 and 2012 and with a National Division Rugby Union Team between 2003 and 2009. He continues to have close links to local sports teams in Brussels to aid players return to sport and to facilitate their peak performance again. Tom maintains membership of the Chartered Society of Physiotherapy (CSP UK) and AXXON (Belgium Physiotherapists), and is registered with the Health and Care Professions Council (HCPC UK), Belgium Health Department (INAMI), Association of Physiotherapists in Sport and Exercise Medicine (ACPSEM), and the UK Strength and Conditioning Association (UKSCA). Please email Tom if you would like him to help you on your own personal journey to a pain-free, healthy and fully functioning life. Cancellation/no show policy: full session fee will be charged if no show, and if cancelled within 48 hours of appointment if your space cannot be filled by another patient. Insurance Receipts: Please discuss your specific insurance requirements on your first visit. For Mutualité, DKV & EU health insurance (Commission etc) receipts you must bring a Doctors prescription. A receipt is normally given on your final (last) physio session. An administration fee may be applied if you request your receipt at a later date after your final (last) Physiotherapy appointment. 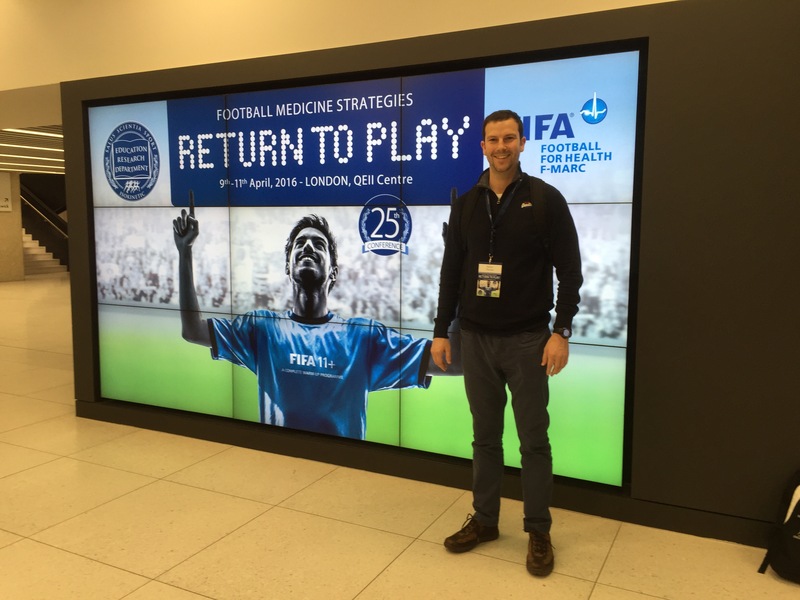 Tom participating in the 2016 Isokinetic FIFA Sports Medicine Conference.